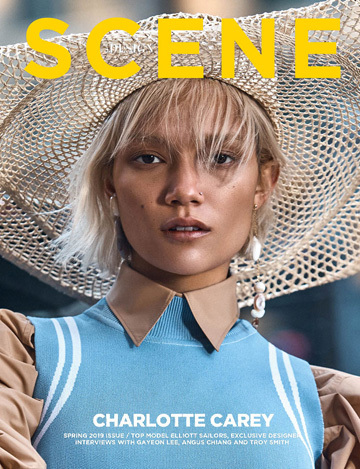 It’s that time of the month when new covers flood the fashion scene, see the latest starring Charlize Theron, Sasha Pivovarova, Carey Mulligan, Eva Green and Joan Smalls. Gracing the covers of ELLE, Vogue, W Magazine and Lucky. W Magazine May 2015 edition starring Charlize Theron photographed by Mert Alas & Marcus Piggott. Charlize was previously gracing the cover of W Magazine back in July 2011 (see here). Carey Mulligan graces the cover of American Vogue‘s May 2015 edition with a shoot from photographer Mikael Jansson style by magazine’s fashion editor Tonne Goodman. For the inside story Mulligan is joined by Matthias Schoenaerts. Supermodel Joan Smalls takes her first cover of LUCKY Magazine with a shoot from fashion photographer Miguel Reveriego, featuring styling by Samantha Traina. Hair styling by hair stylist Jennifer Yepez, makeup by makeup artist Sir John. Manicure by nail technician Tracylee. Eva Green covers the May 2015 edition of Elle Russia with a beauty story from L’Oreal Professionnel. Hair styling by hair stylist Sam McKnight, makeup by makeup artist Val Garland. Vogue Korea May 2015 features supermodel Sasha Pivovarova on their cover.